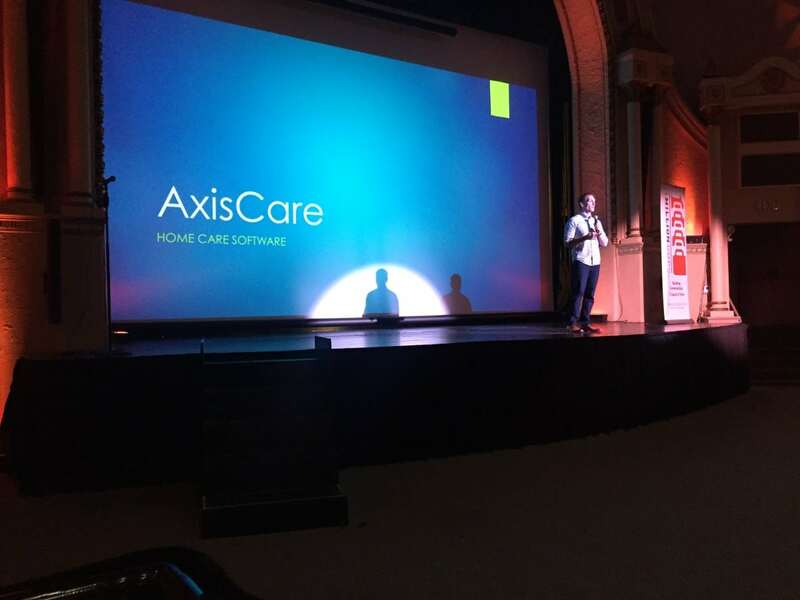 This morning, AxisCare President Todd Allen was chosen to present at 1 Million Cups Waco! Every Wednesday morning, Wacoans get together at the historic Hippodrome Theatre to hear how local small businesses are working within the community. After his presentation on AxisCare, Todd was asked about how our business can help impact home care agency owners, the clients they serve and the Waco community. Our goals of empowering agency owners to provide best in class care to their clients and hiring local Waco talent fit right in with the goals of the 1MC group. We love that 1 Million Cups is focused on connecting entrepreneurs to help solve problems and grow with their support. We’re exicted to support and encourage other local businesses at the metings to come. We’re thrilled that 1MC hosted us this morning and we look forward to being back in the future!